Start the day with a nutritional powerhouse of a breakfast! Simple to make and packed with nutrients is the pomegranate chia pudding with honey. This simple breakfast/dessert/snack recipe is loaded with antioxidants, fiber, omega 3, iron, magnesium, zinc, calcium and other vitamins. This no-cook, gluten free chia pudding is filling and delicious and can also be topped with any fruit of your choice! 1. Stir together almond milk and Chia seeds. Keep covered in refrigerated overnight. 2. Stir in honey and vanilla to the chia pudding. 3. Garnish with pomengranate seeds and slivered almonds. Enjoy! It has been a long time since I have added a recipe to the blog. Lots has been happening in my life in the last couple of months as I have relocated to New Delhi, India. Now that I have found my bearings here, I wanted to continue doing the things that I enjoy. And of course, writing this blog is one of them. 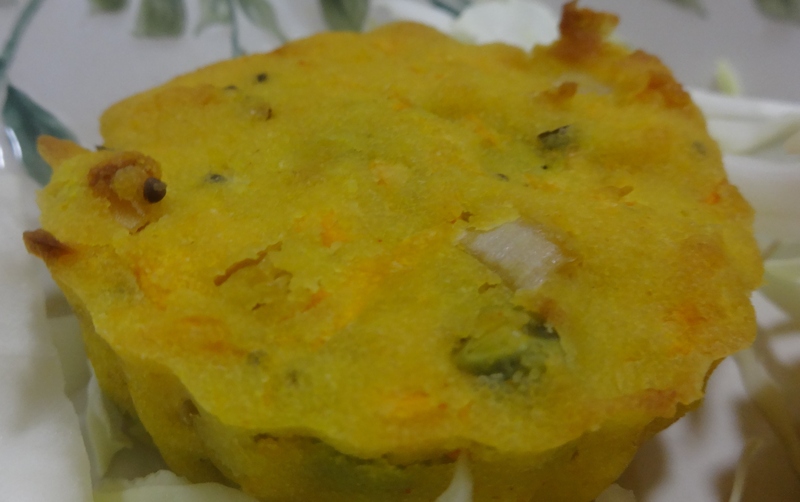 I came across this easy version of a favorite South Indian recipe(courtsey: Manjula’s Kitchen). Traditionally, making Uttapam can be a little time consuming. 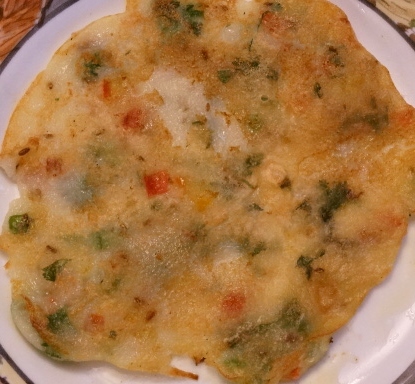 But bread Uttapam turned out to be an instant and delicious dish. 1. Remove the edges (crust) of the bread and roughly cut into smaller pieces. You can use your hands to do this. 2. In a blender add the bread, suji, maida, yoghurt and water. Blend into a smooth paste. 3. Pour the batter into a bowl. Throw in the cumin seeds, bell pepper, tomatoes, ginger, chilli and cilantro. Add the salt and mix well. Batter should be thick but not runny. Add more water if needed. 4. Heat a skillet. Spread two tablespoons of the batter in the shape of a pancake. 5. Pour a tsp of oil around the uttapam (pancake). Let it cook for a couple of minutes on medium to low heat. Now flip it over and add another tsp of oil around the uttapam. Let it cook for another two minutes till the pancake is evenly brown on both sides. Note: do not cook on high heat as it will not cook thoroughly. 6. Serve hot with a chutney of your choice!